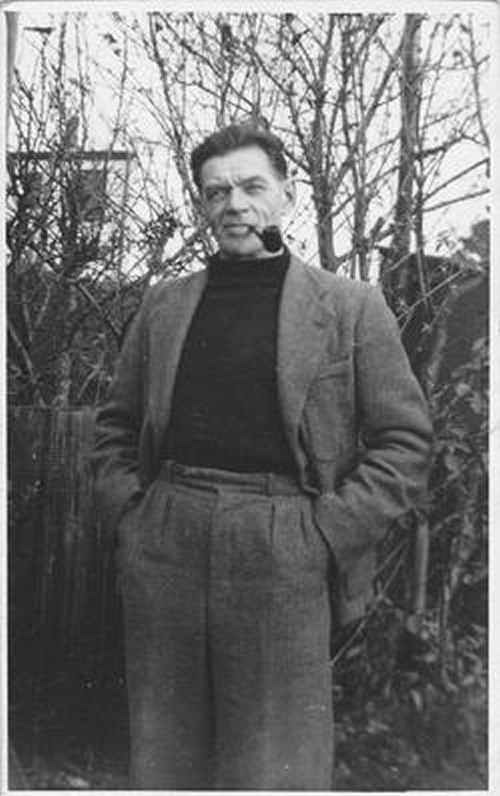 FRANK MINNITT (3 September 1894 – 12 May 1958) was a comic artist for the publications of D.C. Thomson and Amalgamated Press, and is best known for his work on the ‘Billly Bunter’ comic. During World War I, Minnitt served in the Coldstream Guards in France, where he suffered injuries from mustard gas. After the war, he held several jobs, before turning to an artistic profession. A completely self-taught cartoonist, Minnitt began to freelance joke drawings to newspapers. By 1927 he had successfully taken over several other artists’ strips, and his work was published in AP comics like Butterfly, Comic Life, Joker, Merry & Bright, Jolly and Sparkler. In 1930, Minnitt tried his luck with DC Thomson, drawing ‘Peter Pranky’, ‘Smiler Smutt’ and ‘Jimmy and Jumbo’ for Adventure Comics. He also drew for the Fun Section of the Sunday Post, and The Dandy. At AP, he contributed ‘Stainless Stephen’ and ‘Will Hay’ to Pilot. He later drew among others ‘Kiddo the Boy King’, ‘Bob’s Your Uncle’ and ‘Merry Margie the Invisible Mender’. These strips became so popular that Minnitt was asked to take over the ‘Billy Bunter’ strip the Knockout comic in 1939. This strip made Minnitt’s reputation, and was drawn by him until shortly before his death in 1958. His other serials for Knockout included ‘Merry Marjie’, ‘Kiddo the Boy King’ and ‘Ali Barber’. After World War II, he worked for several publishers on short-lived titles like Comicolour, Jingo Comic, Swell Comic and Big Laugh. In the final years of his career, several AP editors didn’t care for Minnitt’s old-fashioned style, and he found himself out of work, except for the ‘Billy Bunter’ comic.